Acupressure is an ancient form of healing that uses finger and hand pressure to stimulate key points on the body. Several of these acupressure points can be effective for preventing and relieving motion sickness, however by far the best known – and easiest to locate and use – are the P6 points (also called the Nei Kuan points), which are located on the inner wrist. Motion sickness wristbands and bracelets use this acupressure principle – the small stud on the bracelet applies constant pressure to the P6 point on your wrist. Acupressure is of course similar to acupuncture, but whereas acupuncture uses fine needles to stimulate the pressure points, acupressure relies on the pressure exerted by your fingers, or a device such as a wristband or bracelet. The Pericardium 6 (P6) or Nei Kuan points are fairly easy to locate – they are on your inner wrists, approximately the width of three fingers below the wrist joint. To locate P6 exactly, first hold your hand palm up and note the position of the upper wrist crease. Then place the three middle fingers of your other hand onto your wrist, with the top of the upper finger just on the wrist crease. The P6 point will be beneath your index finger, between the two central tendons that run from your wrist down your forearm (clench your fist to see the tendons more clearly). A slight sensitivity or tingling should tell you that you have the right spot. Repeat this process on your other wrist. Once you have found the P6 points, apply firm downward pressure with your thumb or finger tips for around 30 seconds at a time. You should also place your bracelet to assure this point is being pressured. Note that at no time should this pressure feel painful! Tapping the P6 point can also be very effective. 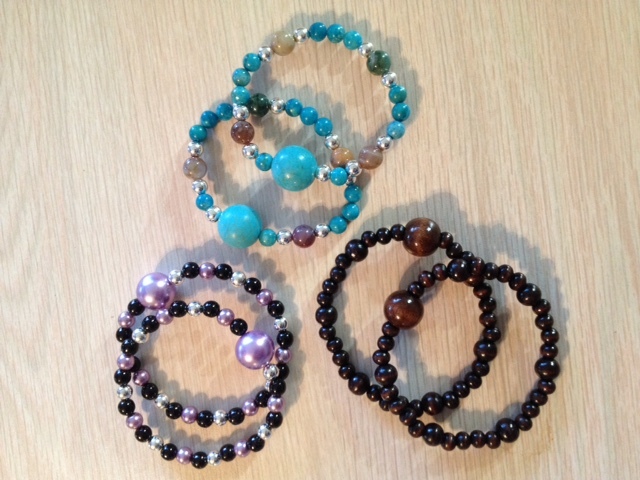 We now carry Queasy Beads – stylish, natural anti-nausea bracelets for relief from travel sickness, carsickness and seasickness. These bracelets are suitable for men and women and stimulate acupressure points in your wrists to naturally relieve motion sickness. A must have travel accessory!